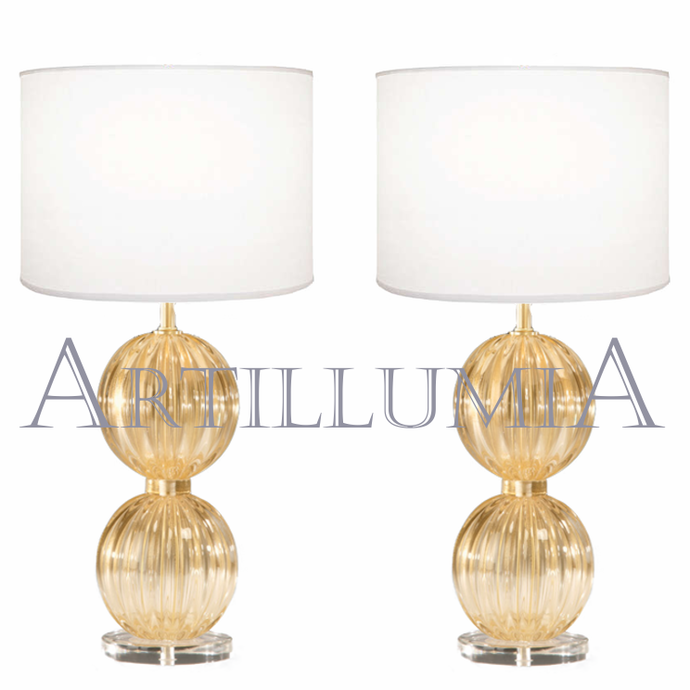 Elegant pair of Murano glass table lamps in clear color covered with 24k gold on brass-plated structure. 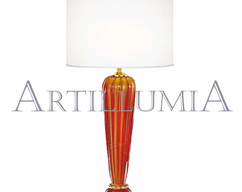 These lamps are handmade by Venetian glass makers with the authentic Murano glass technique. The lamps will be wired for customer's country lighting standards UL/CE. 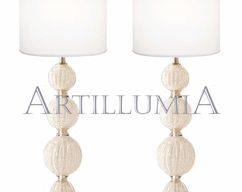 Listed price is for the pair of lamps. 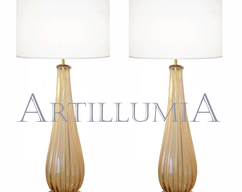 Single lamp available for sale for $1.200. Customizable on request: available in different sizes and shapes, please don't hesitate to ask. 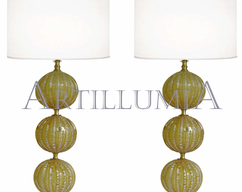 Lampshades available on request (not included in this listing). Frame finishes available on request: chrome, brass, gold plated, nickel-plated. Shipping may be also available for other destinations, please send a request.